Last month we told you about getting a new smartphone and keeping our unlimited data plan intact. So far, so good. That is still working great. We chose the Android platform when we moved to smartphones a few years back. Actually Android was chosen for us. The iPhone was not available on Verizon when I needed a new phone, and I was not going to sacrifice better coverage for a more popular phone. I’m glad that’s the way it worked out. The iPhone is a great smartphone, but it has limitations. We didn’t seriously consider a Windows phone or a Blackberry. I chose the Note3 for its screen size and cool features. It is so big, it rivals my Nexus 7 tablet. I find the Nexus 7 being relegated to the bedroom. Some people refer to this form factor as a “phablet,” or phone-tablet. The feature list for this device is extensive, almost mind-boggling, and I am enjoying learning all about it. So, how do we learn about technology? I start with a web search. I read the manual. The manual for this device is 184 pages in pdf format. I copied it to a folder on OneDrive so it is accessible on all my devices for reading anytime, anywhere. There are tons of learning resources on the web, too. Some good, others not so much. Separating the wheat from the chaff and translating from geek-speak is what we do for our members. One of our readers told us of some Youtube videos that go into quite a bit of depth on features of the Note II and Note III. There is absolutely no way we can know everything about our own devices, let alone be experts on the thousands of variations of the assorted Android versions on dozens of manufacturers’ myriad hardware platforms. But we can get most of the basics and we will continue to learn for you. It would be a boring world indeed if everyone liked exactly the same things. We think we have a good idea of what most people want and need when it comes to technology. We cover the basics of Android and iOS devices on our Smartphone & Tablet Tutorial Videos page. 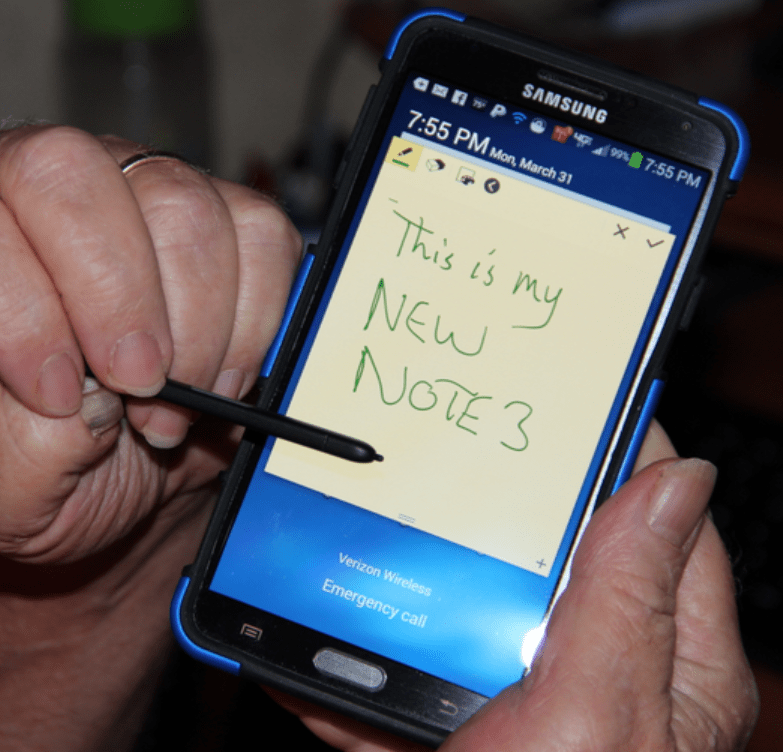 The Note3 is optimized for taking notes. It has a removable pen/stylus built in and apps to take advantage of handwriting recognition. This S-Pen is proving to be a real asset and a fun way to sketch out new ideas. It has a great camera and apps, modes, and settings to enhance your creativity. There are also new ways to share your photos and videos. 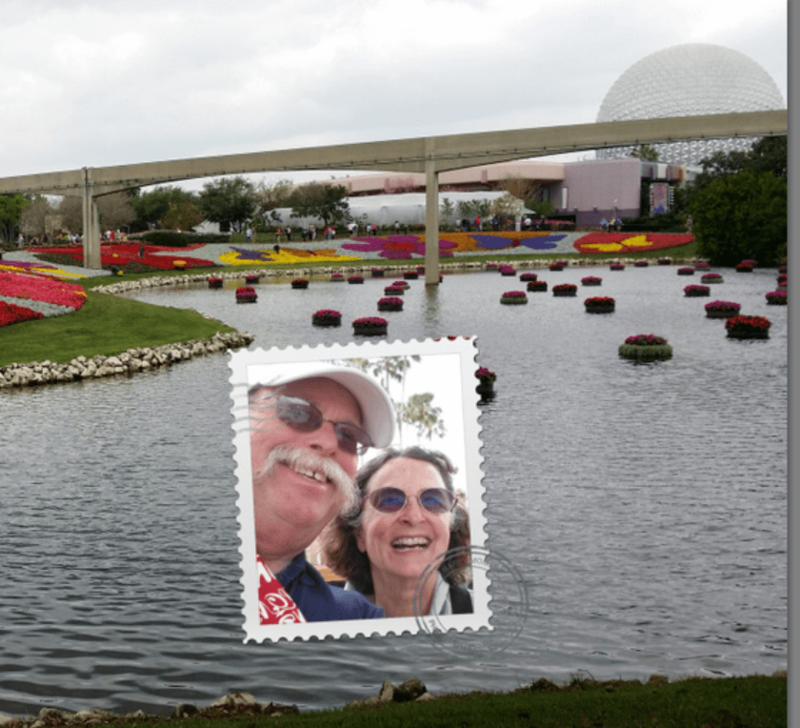 For example, one camera mode uses both the front and rear cameras to give you a picture in picture effect! Future articles and tutorial videos will showcase some of these amazing features and capabilities as I learn more. Stay tuned. Published by MrsGeek, in Blog. Tagged with Galaxy Note3, Smartphone.